vitrifiedstudio is a small home based ceramics studio located in portland oregon and was started in 2011. the wares are all limited production, high quality studio ceramics hand thrown and designed by me, shelley martin, in my backyard studio. these handmade studio ceramics are an alternative to the high volume mass produced repetitive work you find in other studios, workshops, and factories. each piece is unique, considered, and made only using my hands, the pottery wheel, a few simple tools, clay, food safe / lead free glazes and natural cork stoppers. the clay used is either colored stoneware or a white porcelain, hand glazed and fired in my electric kiln to 2100-2200 degrees. 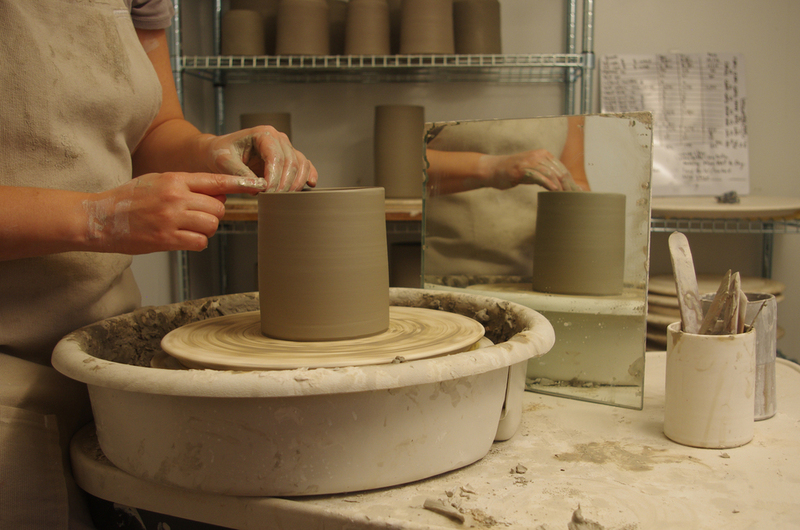 i really love that i am merely continuing a tradition that has been going on for thousands of years, making simple pots formed with my hands and clay, on the potter’s wheel.